Well, today i’m going to show you how you can make professional looking product images without spending more than $15. I know what you might be thinking, this sounds too good to be true, and i don’t blame you when i learnt about this technique i said the same thing, but before making your judgement, read this article! So, when it comes to selling on Amazon first impressions are everything. 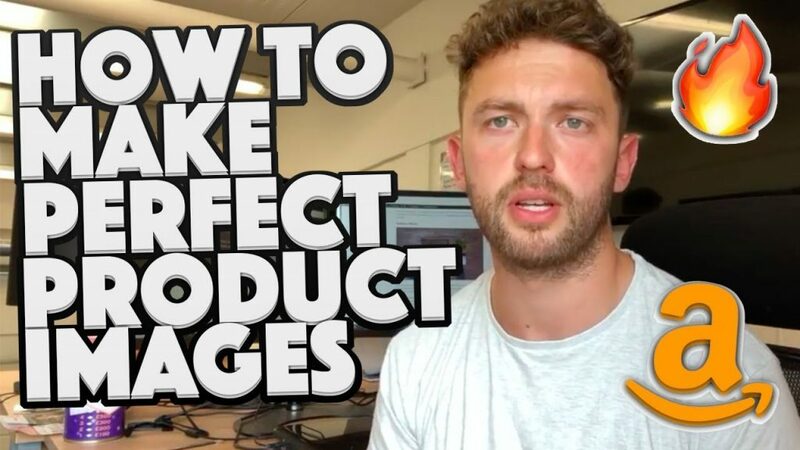 Finding the right product can be difficult, but once you’ve sussed it you need to think about how your product looks to the customer (first impressions are everything). When i first started out, i’d take pictures of the product on my phone, looking back some of my first images were hilarious. My first product was a fruit infuser water bottle, so i’d go to the shops and buy a load of fruit, i’d bring it all home and set up my own mini studio, yes i started making sales but it wasn’t really taking off, it all looked a little amateur! couldn’t figure out how some sellers had these perfect looking images, how could they afford the cost of professional photography?! That’s when i stumbled across the most beautiful word; “Render”. If you are anything like me you’ll be thinking, what the hell is a render?! In short it’s a word some amazon sellers use to describe a 3D rendered realistic image, in simple terms this is a perfect, computer generated image of your product. You might be thinking, this all sounds great Nick, but how can i get this done? Well, let me show you how, step by step. Let’s go over the details of the video. First up you are going to need a Fiverr account, unless you are an expert in CAD of course. You will need to find a designer that can skillfully model your product. Once you are on fiverr, type “3D rendering” into the search bar, hit enter and you will be shown results of designers that can offer these services. The trick here is to find a skilled designer that isn’t going to cost you the earth. I have had experiences with bad designers, and trust me they can be terrible. Have a look through the results, try to find someone with a good level of positive reviews. To show you the power of this method, i’m going to have a designer make a render of this phone tripod. 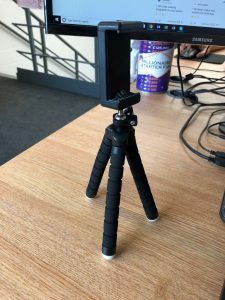 Let’s assume this tripod is a great seller, we’ve found it using jungle scout and we want to make our listing stand out as much as possible! So, you’ve set yourself up with a fiverr account and you are ready to look for a designer, by typing in “3D rendering” you’ve searched through and found a designer you like the look of. For privacy reasons i have blurred out the name of this designer. Anyway, you can see here that this designer has a 5.0 start rating with more than 500 reviews, this looks like a great designer! Before ordering any of their gigs, speak to them and brief them on your project, you can do this by clicking the green, “contact me” button you will see below their profile picture. Over the years, I have worked with alot of different people, speak to a few different designers about your project and then you’ll have to decide which one you feel is the best fit. I’d like a 3D render made of this phone tripod. I have attached a couple of high quality pictures. I have quite a few upcoming projects like this, so i am hoping to build a strong relationship with a trustworthy designer. With that in mind, id be happy to pay $10 for this re modelling job. Please send me a custom offer if you are interested. Saying something like the above will give you some room to negotiate, if the designer feels like i might have alot of work for them, they may be more likely to negotiate and try to impress. It’s also useful to ask to see any similar work they may have done in the past, this way you can get a feel for the quality of their work. Over the years i have built up a huge bank of trustworthy designers, it all comes with trial and error, it takes time to build up these relationships but they can do wonders for your business. Let’s have a look at the renders I’ve had made. Here is one of the images, pretty impressive right! If you want to go one step further you could even have a 3D render of your packaging in the background, all of this for $17? I could have had it done for $10 or maybe less, but i asked for it to be done in a day so i could show you the results as quickly as possible. 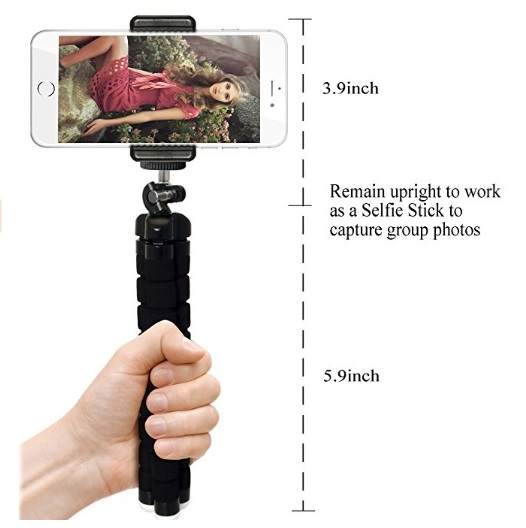 If you want perfect amazon product photos this is the way to go, it’s the best representation of your product (and your brand) it allows you to show off the perfect version. Of course there is alot more you can do with these types of images. Here is some further advice for those who want to go a little further, if you’ve read this much of the article you obviously take your business seriously so congratulations, people like you will go alot further. So, you’ve got this perfect 3D render of your product, now let’s talk about marketing images! The best amazon listings always have a selection of high quality marketing images. Using the renders you’ve had made, you can use fiverr to find a graphic designer. Rather than spending thousands of dollars with a marketing company you can manage and create these images for yourself. For the perfect listing you’ll need six to eight high quality amazon product photos. The first will be your main product render (possibly with packaging in shot) and the rest will be marketing images. The marketing images could show the product in their natural environment, some people have info-graphics made to show the unique selling points of their products. Prepare a marketing brief for your designer, make sure you explain your requirements in detail, i always send over example images so they can get a feel for the sort of images i am looking for. 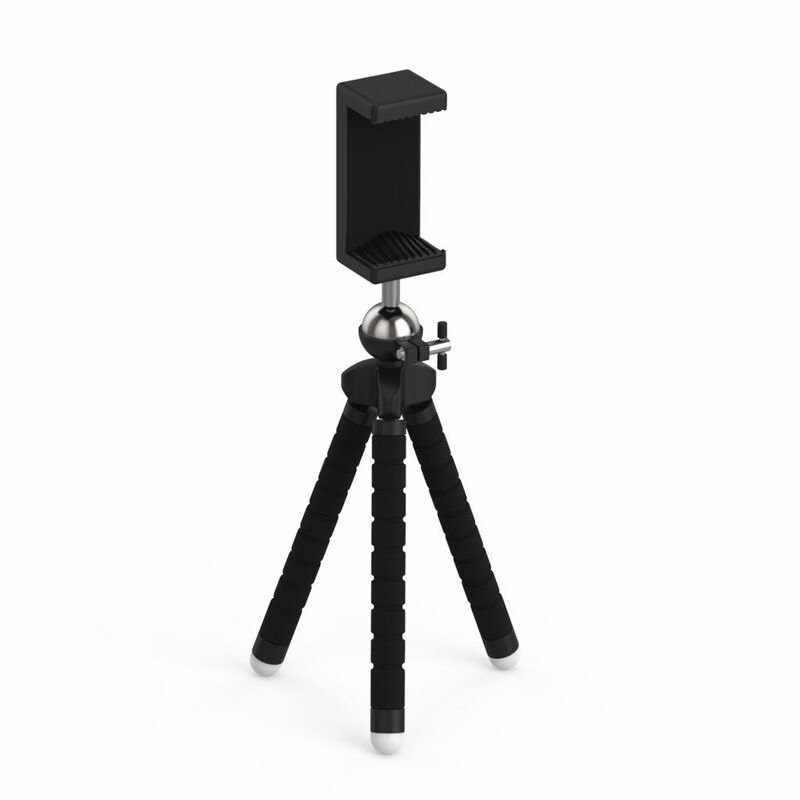 For a phone tripod, you might want an image like this. Images like this can work wonders for your listing, they allow you to show off the best parts of your product. All of this adds to the customer experience. There you have it, that’s how you create perfect amazon product photos without spending more than $15. If you haven’t already, get yourself a fiverr account i credit alot of my successful amazon listings to designers i have found on fiverr! It’s a great place to find freelancers, of course there are some bad designers out there but if you aren’t happy with the service, fiverr are there to protect you from getting ripped off. Alot of the designers on there wouldn’t want to risk a negative review, so if you are having issues talk to them about it, nine times out of ten they will give you a refund! 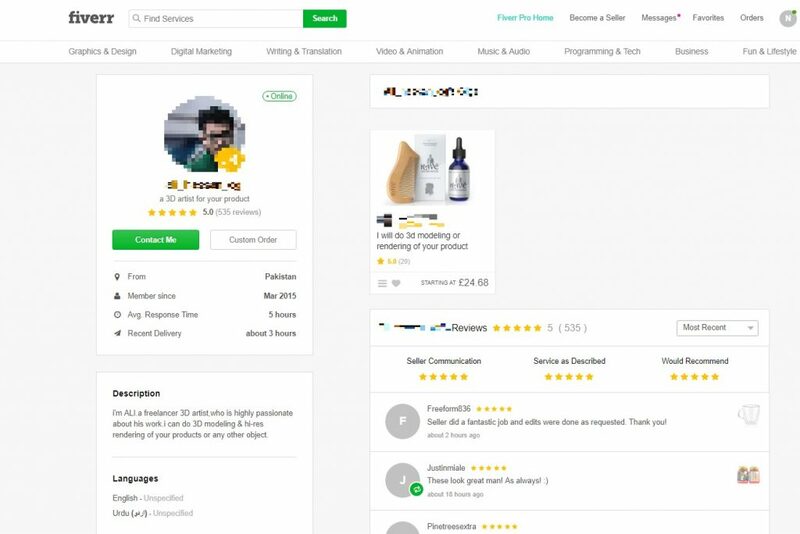 If you haven’t heard of fiverr before you might want to check out my full review of the platform, it has saved me alot of money over the years and i’d happily recommend it to my friends and family. Fiverr is the same as any platform, it does have it’s downsides, i go over these in full details within the fiverr review. Anyway, i hope you’ve enjoyed the article, let me know what you think in the comments below! 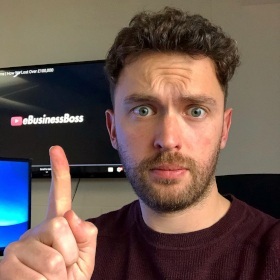 and if you like this sort of content subscribe to the eBusiness Boss youtube channel.